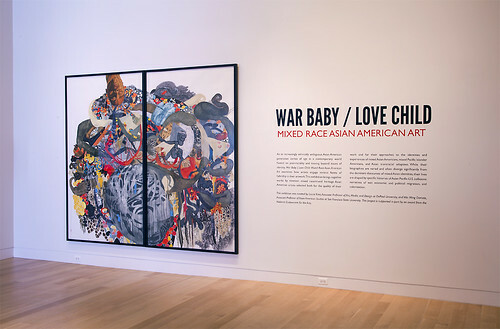 Title wall “War Baby/Love Child: Mixed Race Asian American Art” at the Wing Luke Museum. Pankaj Nath, Wing Luke Museum Board of Trustees member, introducing curators Laura Kina and Wei Ming Dariotis. 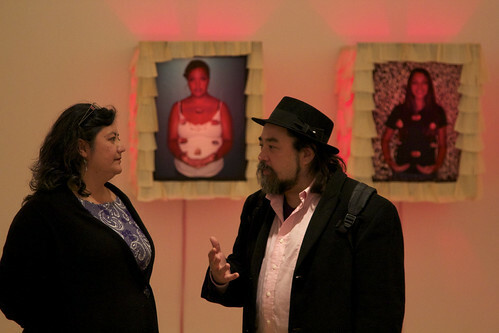 Curators Wei Ming Dariotis and Laura Kina. Artist Louie Gong giving the curators a high five. Curators Wei Ming Dariotis and Laura Kina thanking Beth Fuget, of the University of Washington Press, and Michelle Kumata, from the Wing Luke Museum, for working with them on this book and exhibition project since 2008. Artists and curators at the opening reception – Jenifer Wofford, Lori Kay, Wei Ming Dariotis, Stuart Gaffney, Laura Kina, Louie Gong, and Richard Lou. Marination Station, located on Capital Hill, provided SPAM sliders and other tasty hor d’oeuvres for the opening reception. Visitor in front of work by Louie Gong. Louie Gong, “Guardians,” Acrylic on wood panel, 2013. Visitor in front of work by Kip Fulbeck. 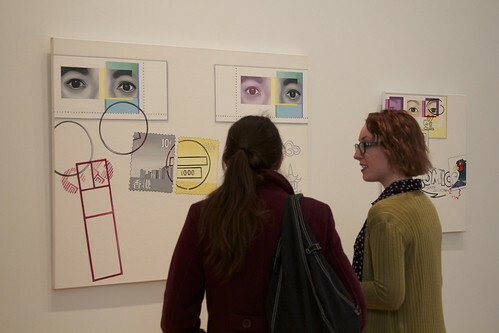 Visitors in the George Tsutakawa Art Gallery at the Wing. Visitor in front of Serene Ford’s work. Visitor in front of Jenifer Wofford’s work. Visitor in front of work by Albert Chong and Mequitta Ahuja. The Wing Luke Museum of the Asian Pacific American Experience, Seattle, WA. George Tsutakawa Art Gallery at the Wing. 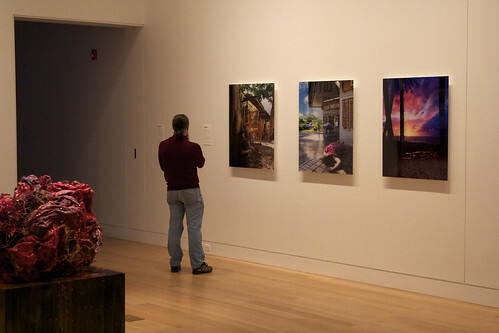 Installation view – In the foreground, works by Louie Gong. In the background, Cristina Lei Rodriguez and Debra Yeppa-Pappan. 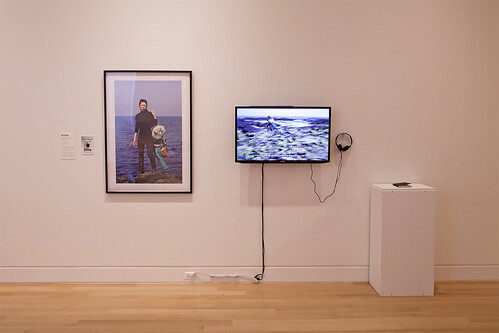 Installation view – in the foreground, work by Amanda Ross-Ho and Gina Osterloh. In the background, Louie Gong and Kip Fulbeck. 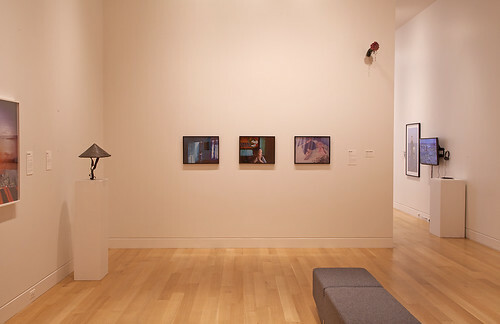 Installation view – In the foreground, work by Stuart Gaffney and Kip Fulbeck. In the background, Adrienne Pao. 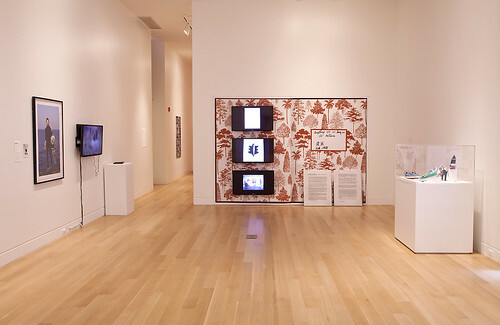 Installation view – works by Laurel Nakadate and Jane Jin Kaisen. 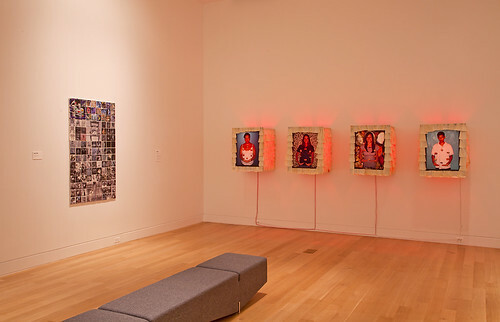 Installation view – works by Chris Naka and Serene Ford. 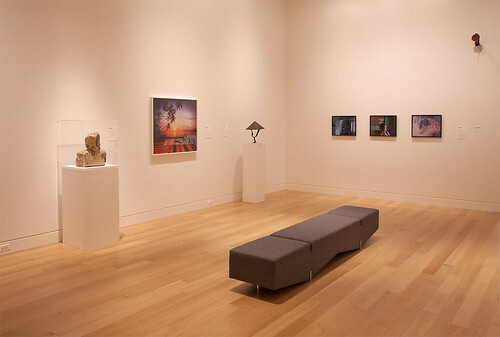 Installation view – back gallery of the George Tsutakawa Gallery at the Wing. 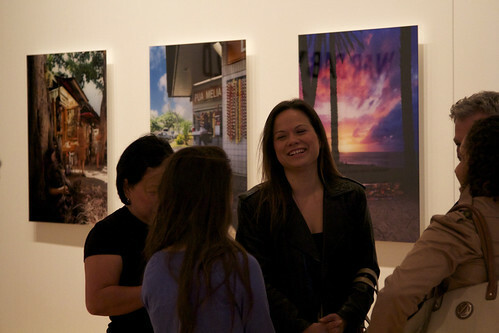 Left to right: Richard Lou, Lori Kay, Jenifer Wofford (back wall), Adrienne Pao, and Samia Mirza. 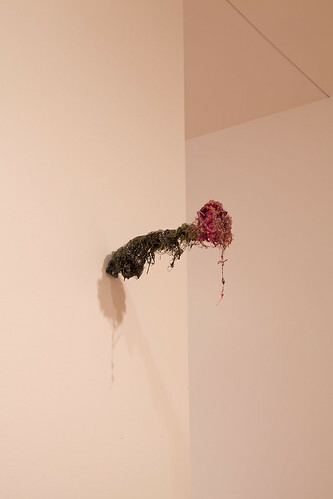 Installation view – Lori Kay “Heir to Rice,” Bronze, brass, fiber, 1999. 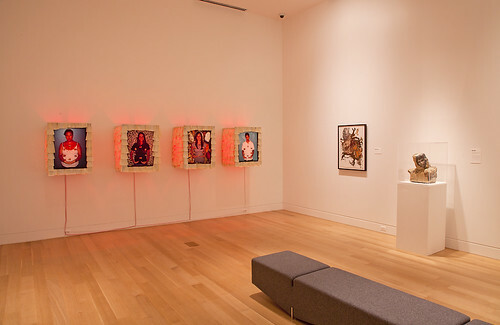 Installation view – Work by Albert Chong and Mequitta Ahuja in the foreground. In the background, installation by Amanda Ross-Ho. Curator Gallery Tour Poster. Photo by Laura Kina. 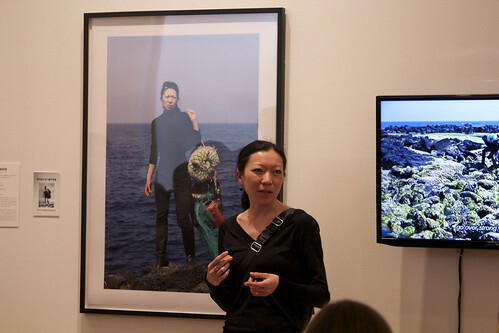 On August 10, 2013, curators Laura Kina and Wei Ming Dariotis led a gallery talk of the “War Baby/Love Child” exhibition at the Wing Luke Museum in Seattle, WA. This was followed by a book signing. They were joined by exhibiting artists Stuart Gaffney, Lori Kay, Richard Lou, and Jenifer Wofford. Jenifer Wofford, Wei Ming Dariotis, Richard Lou, Laura Kina, Stuart Gaffney, and Lori Kay. Photo by Hussain Abdulhaqq. Wei Ming Dariotis and Laura Kina in the Tateuchi Story Theatre at The Wing. Photo by Hussain Abdulhaqq. On the tour in the George Tsutakawa Art Gallery at The Wing. Photo by Jenifer Wofford. Stuart Gaffney. Photo by Hussain Abdulhaqq. Laura Kina. Photo by Hussain Abdulhaqq. Jenifer Wofford. Photo by Hussain Abdulhaqq. Lori Kay. Photo by Hussain Abdulhaqq. Richard Lou. Photo by Hussain Abdulhaqq. Book Signing. Photo by Hussain Abdulhaqq. 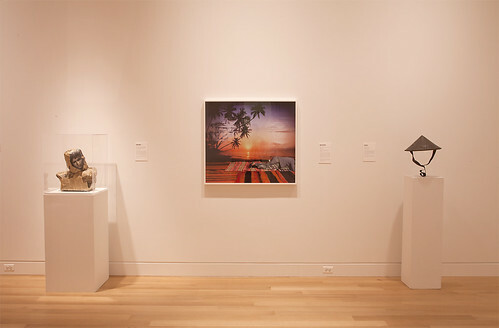 Installation view 2nd floor DePaul University Art Museum – Louie Gong “Thinking Big” (2013), Li-lan “Two Views Bridged” (2000) and “Bird of Passage” (2001), Debra Yepa-Pappan “Live Long and Prosper (Spock was a Half-Breed” (2008) and “Hello Kitty Tipi (Starry Sky)” (2007). Photo by Reid Miller, courtesy of DPAM. 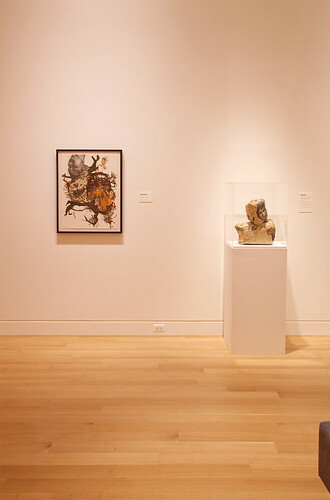 Installation view first floor DePaul University Art Museum. 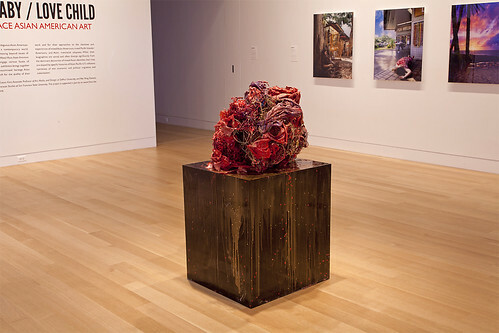 Mequitta Ahuja’s “Dream Region” (2009) in the background and Cristina Lei Rodriguez’s “Decadence (Red Coral)” (2008) in the foreground. Photo by Reid Miller, courtesy of DPAM. 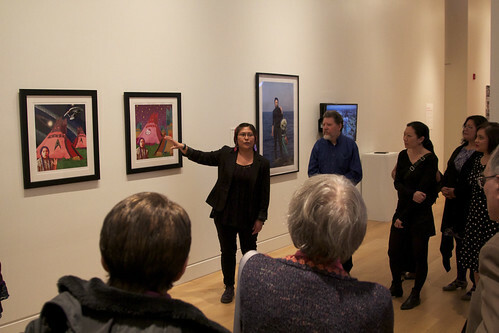 On April 25, 2013, War Baby / Love Child: Mixed Race Asian American Art opened at the DePaul University Art Museum. Opening reception April 25, 2013. 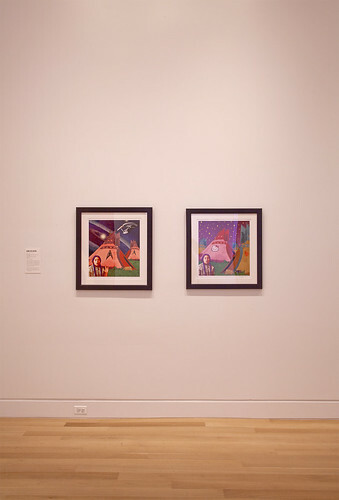 Installation view second floor DePaul University Art Museum. Screening Laural Nakadate’s video “Greater New York” (2005). Artist Chris Naka talking about his video “The Tale of Selling the Tale” (2009). In the background, Mequitta Ahuja “Dream Region” (2009). 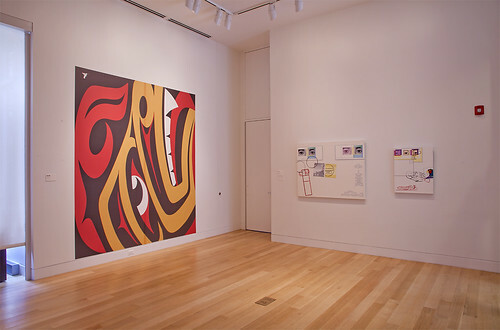 Installation view first floor gallery DePaul University Art Museum. 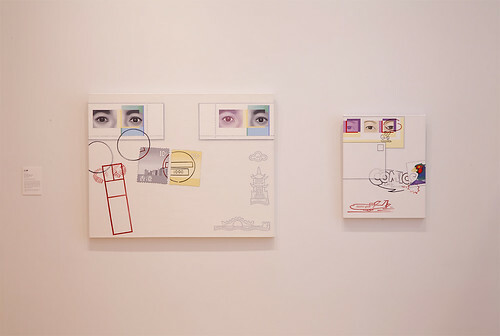 In the background, Jenifer Wofford “MacArthur Nurses VI” (2013). Photo by Jordan Schulman. Artists Debra Yepa-Pappan and Jane Jin Kaisen. 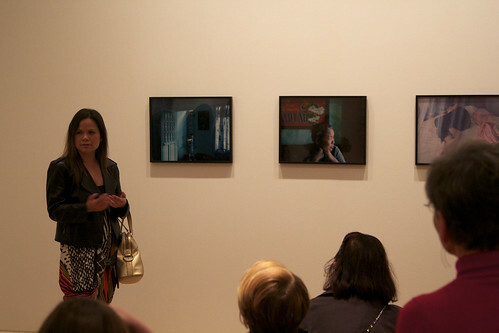 Artist Serene Ford talking about her series “I’m the Girl Who Survived the War: Photographs from Viet Nam” (1998-2003). Artists, curators, and family at the DePaul University Art Museum April 25, 2013, opening reception for War Baby / Love Child: Mixed Race Asian American Art.